The pump guides articles provide guidance and reviews on different types of the pumps including prices. A pump is a device used to transfer or the fluid across different places. The pumps utilize the mechanical energy to transfer the fluid. The pumps convert the mechanical energy into the hydraulic energy of the fluid. The mechanical energy supplied to the pump can be the manual operation, electricity, DC battery power, solar power, wind power, etc. The pump is one of the oldest forms of device used by the human. They can be dated back to the Egyptian civilization. Nowadays, the pumps are used in a wide variety of applications such as drawing water from the deep wells, aquarium filtering, fountain formation, watering crops, pond aeration, washing and cleaning systems, water circulation system, fuel injection, cooling tower systems, boiler feed supply system, and fuel injection systems. The pumps have also replaced our human organs in the medical industries. The artificial human heart is made to pump the blood through our veins with the help of the pumps. The pumps have become one of the vital devices of the modern-day world. Positive displacement pumps operate by moving a fixed amount of the fluid from the suction head to the discharge end of the pump. They provide constant flow rate and volume of the fluid at the discharge. They are used in applications with high-pressure and low flow combinations. They have high-efficiency rate. The output is provided in every stroke of the piston in the pump. 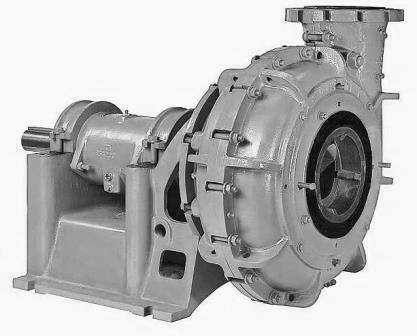 They are further classified as the reciprocating pumps and rotary pumps. Mixed flow – a combination of both axial and radial flow direction. The pumps are furthermore classified depending on their operation inside the water medium or outside as submersible pump and pedestal pump. They can be classified based on their priming capability as self-priming pumps or manual priming pumps. They are classified depending on their power source such as the electric pumps, DC powered pumps, solar pumps, diesel pumps, etc. Each of above articles are sub pump guides that provides information about applications, types, quality and testing and prices.